Experience the futuristic high-speed insanity of Wipeout in 4K with HDR or in PlayStation VR. Update: An earlier version of this post stated that the demo for Wipeout Omega Collection was already live, when it was not. The demo will go live on Tuesday, May 22. Attention all new AG pilot recruits! 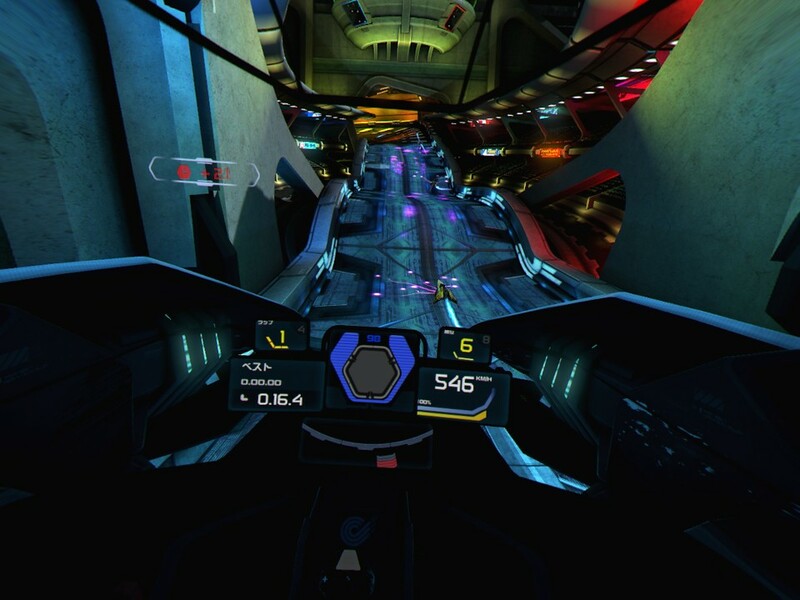 You have been awaiting your opportunity to finally climb into the cockpit of a AG ship, and now you can with our new Wipeout Omega Collection demo! 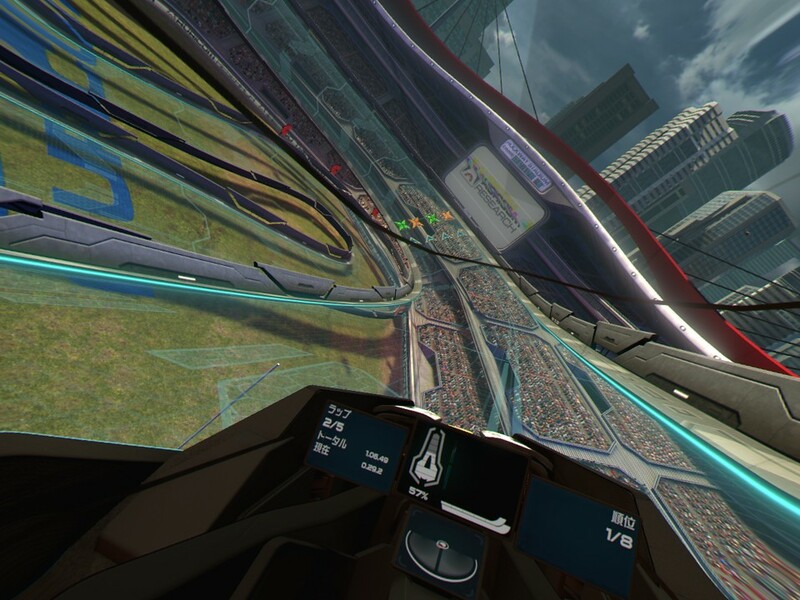 With your 4k display, you can race either in glorious native 4K with HDR, or if you have a PS VR headset you can sample the acclaimed VR mode for Wipeout. In VR you will really feel like you are racing in the future at speeds over 700KPH. Select from the traditional Feisar ship, or the new Feisar VR ship and try a single race on two different tracks from HD and 2048 modes. 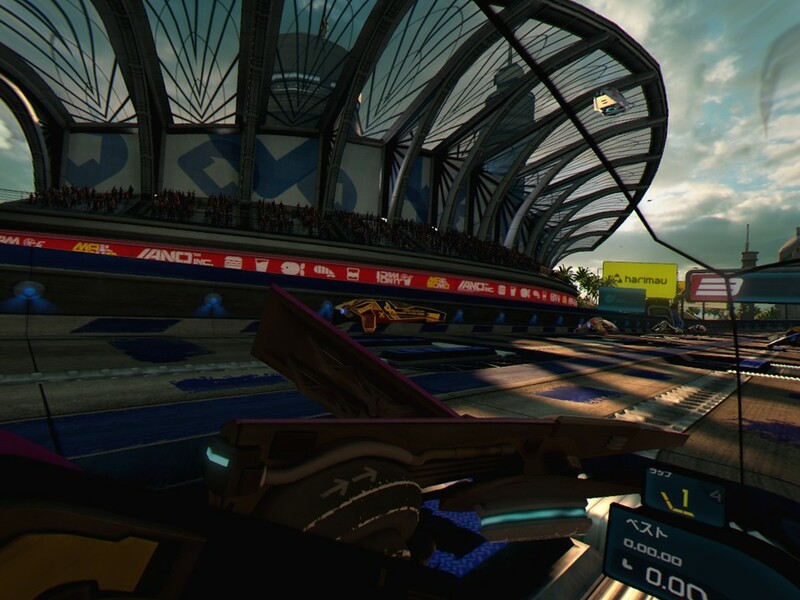 Experience the twists and turns and the blinding sunset of Vineta K from Wipeout HD. 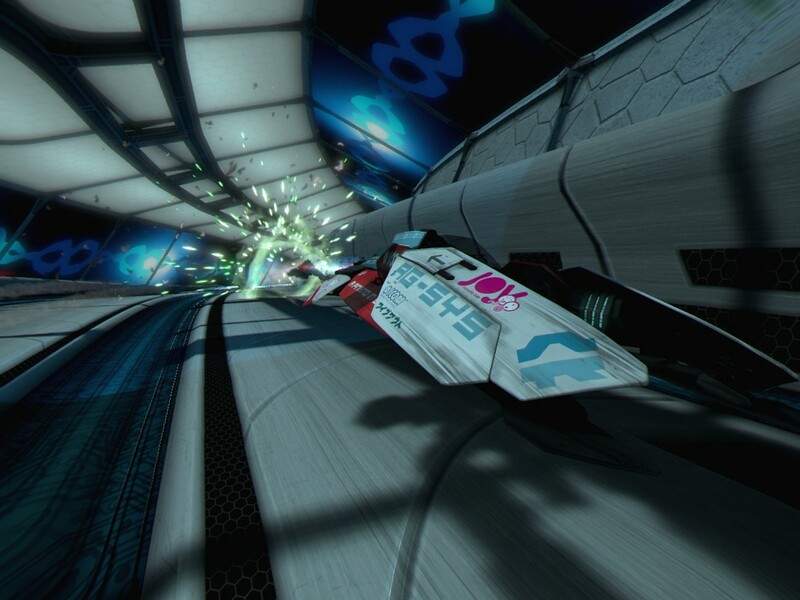 Then take on the speed fest with stomach churning vertical drops and jumps that that is Altima from Wipeout 2048. For the most comfortable ride, we’d recommend starting with the default controls which are ‘Lock Camera To Cockpit’. Seasoned VR players can try the ‘Lock Camera to Pilot’ setting to experience what it would be like to drive an AG craft in real life. You’ll feel every twist and turn as you move with the ship, and yes, when you barrel roll you can spin 360 degrees. Wipeout Omega Collection is the ultimate speed thrill. Try it in both 2D and VR if you dare! Really bums me out Zone mode doesn’t have custom music anymore. If it’s a problem with streaming and recording give me the option to use it and block the scene while custom music is on. The demo isn’t live on the store…..
Greetings John and congrats on such a visual marvel that is Omega! I owned and exhaustively played the PS3 and Vita games and can’t believe how much more I’m playing this now, it’s just so damn silky smooth! Is there any hope of getting the excellent Wipeout Pure with all its DLC ported from PSP to PS4? I own the digital copy here in the states but currently doesn’t play on my Vita and really want to revisit it. Oh nice! I’ve been wondering how this would be in VR. Glad I get to try it out now! Get your money ready. On PSVR, you’ll be sold at the menu screen. Bet on it. if only there was an actual demo to play that would be great…. Probably the most awe-inspiring VR experience yet on PSVR. I audibly say “whoa” every time I play it. You guys did a bang-up job of rendering this in VR, and deserve a medal for not making people throw up! After being on the fence with VR, I bought a PSVR because of the VR mode in the omega collection. 100 % worth it. Phenomenal use of VR. To all the incoming new players on PSVR… don’t be shy about online Combat mode. It’s as close as we’re gonna get to Twisted Metal™ in virtual reality. You can change the servers. U.K. servers consistently have more races going on then any other servers.